The First Degree Monaco Challenge is the newest edition to their Challenge range, and in my view, the best looking. First Degree have a great reputation when it comes to water-resistant rowers, in fact, that's the only type machine they make. 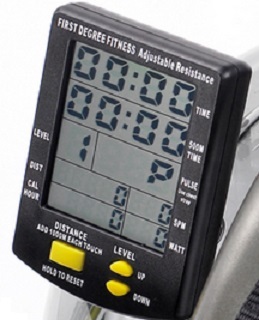 To avoid confusion with the Waterrower brand, they call their models 'fluid rowers.' 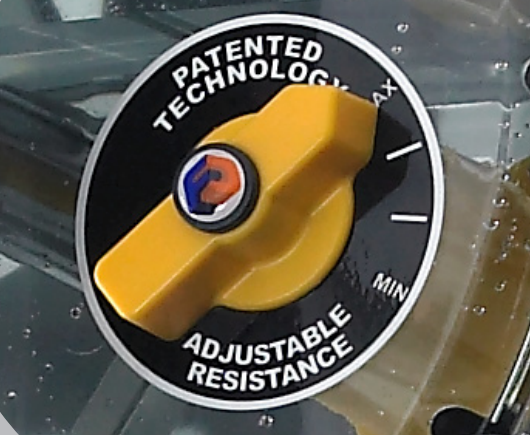 And for reference, the 'AR' in the name means adjustable resistance - something that marks First Degree models apart from most other water machines of the market. More on this later. So enough of the semantics, what about the Monaco? It looks good but does it row good? Well as you can tell from our rating on the right of 85%, we think it's a damn fine machine. As with all our review we'll start with the assembly. The Monaco is a serious bit of kit but its design means it's pretty simple to put together and shouldn't take longer than 30 minutes for most. So onto the rowing position. If you're going to spend 30 minutes plus going up and down the rail you want to be comfortable. The Monaco has a great position; a high seat for ease of getting on and off; a very comfortable seat; and footrests wide enough so gentleman can row without getting tears in your eyes - some manufacturers just don't think about such issues! The handles is well-padded with a decent diameter for a good grip. The dual rail makes for a smooth and quiet ride. 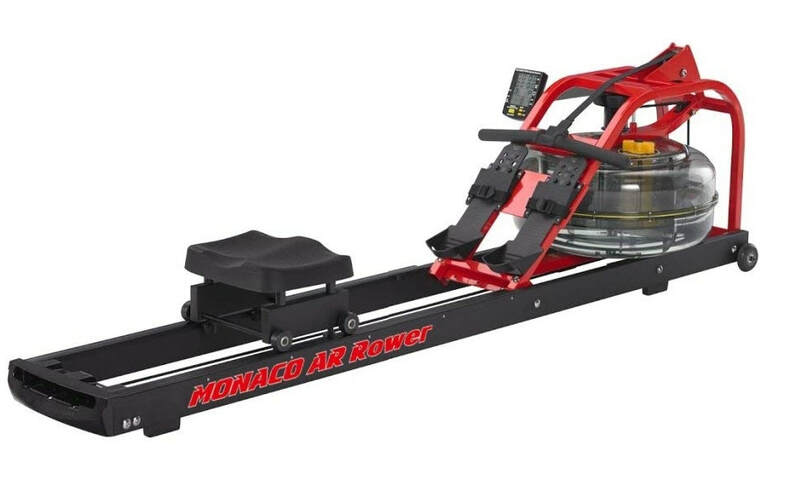 As mentioned earlier, the Monaco is a fluid rower meaning it uses water to provide the resistance for your muscles to pull against. First Degree have invested a lot of R&D into fluid resistant tanks. The twin-tank design provides a constant resistance meaning there are no 'dead spots' - a point where you feel the resistance drops and you get slack in the chain. This can reduce the effectiveness of your workout and competitive rowers hate - but no need to worry with this on the Monaco. Another big plus is the AR part. With many water machines you have to add or remove water from the tank to change the level. First Degree have a dial you simply turn to change from what they call 'Feather Light' up to 'Olympic Sprint'. The range is wide and suits anyone from a novice right up to elite rower. And when you've finished, you can tip it up, wheel it away and store vertically. This gets the Monaco a big tick in the box. The USB port means you can record your performance over time, and also use First Degrees website with a good range of functionality. These includes online racing against rowers in any part of the world and getting a ranking against every rower on their system - a pretty good motivator if you're the competitive type. The LCD screen is a good size and easy to read. It display all the usual data such as time of your session, distance rowed, split times (500m), calories burned, strokes per minute, watts (useful for the fat-burning Tabata workouts and Interval Training. If you use a chest strap (not included), the monitor is heart rate compatible and will display your pulse rate, but it doesn't have pre-set heart rate programs. We really like the Monaco. 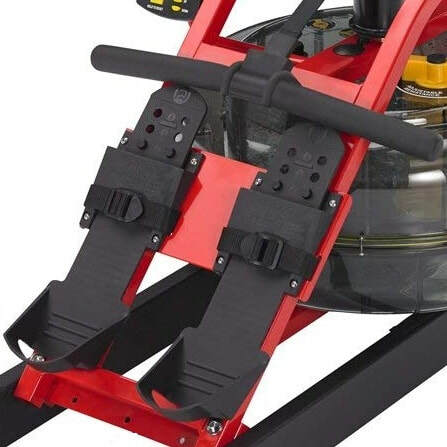 It looks distinctive and stylish with its red frame and dual rail. It's quiet, smooth, a joy to row and very comfortable at that. The price may look a little high, but for this you get a lot of machine that will get you fit and last for years. 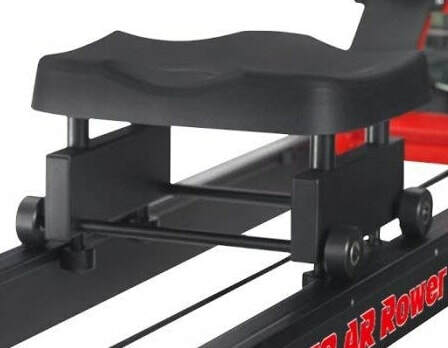 78" x 21" (L) x 22"
WaterRower offer a wide range of excellent machines at around the same price or more, while First Degree have models costing a little less such at the Neptune, Newport or for a heck of a lot more, the Vortex 3.